Craving to eat something delicious, something unique? Try these Tandoori Tacos with Avocado Crema. 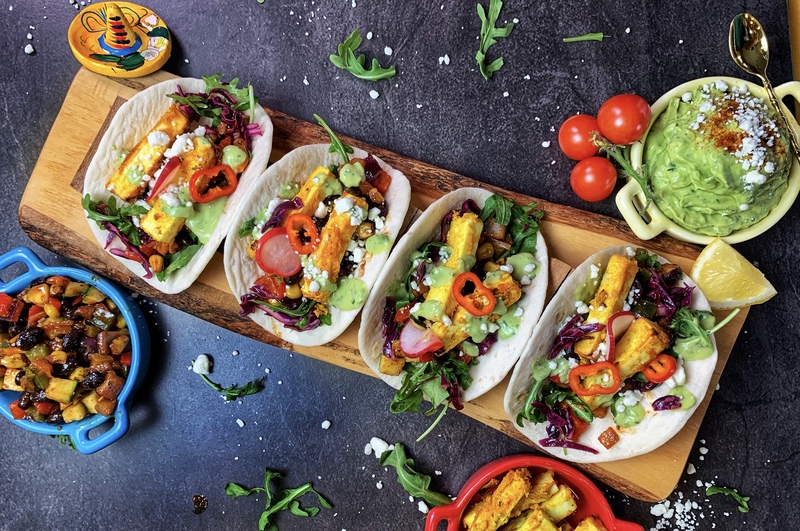 With tandoori paneer-tofu and grilled veggies enveloped in a warm tortilla with fresh salsa and zesty avocado sauce, these tacos are a mind-blowing fusion of Indian and Mexican flavors. 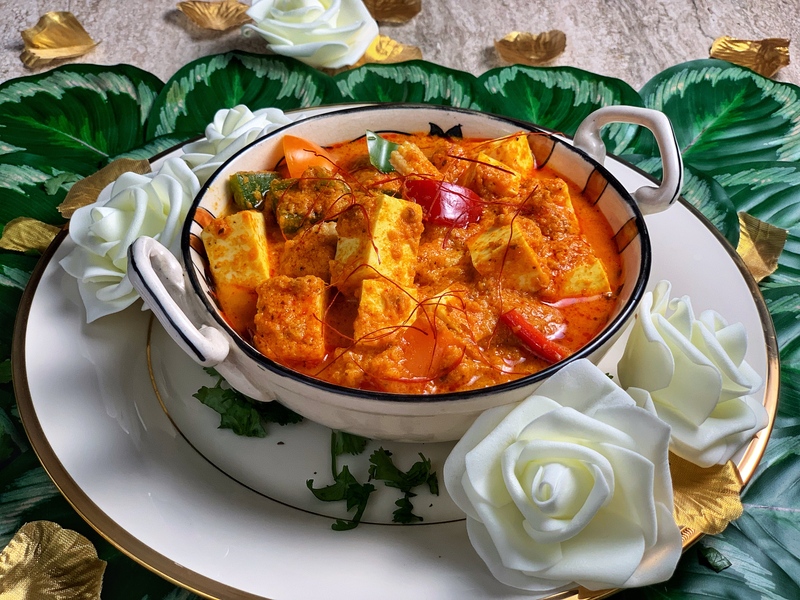 Paneer Coconut Masala (Instant Pot or Stovetop) – an Asian inspired twist on the timeless Indian classic, this paneer in coconut gravy is a harmonious blend of coconut milk and tomato, all at once. 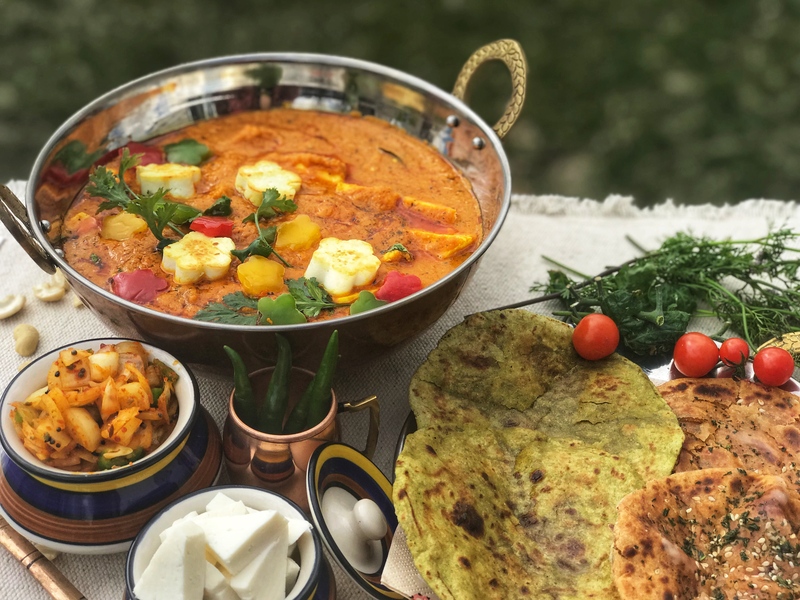 The crisp bell peppers, baby corn, and onions give it a lovely freshness and make it the perfect curry dish! 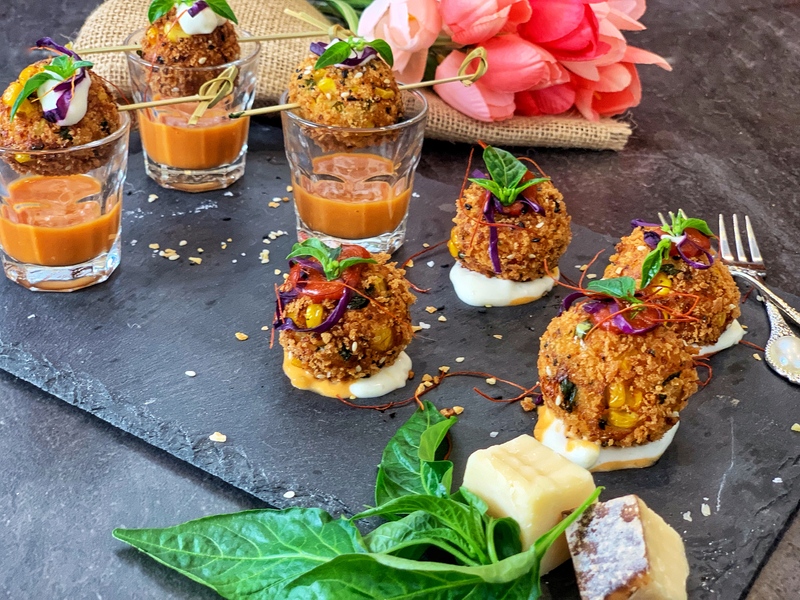 Crisped to perfection, these crunchy and super creamy, Cheese Corn Balls are the yummiest way to indulge! The magic starts with a beautiful mixture of cheese, corn, paneer, and mixed herbs. Coated in spiced breadcrumbs, stuffed with melty cheese bursting corn, and served with some bold dipping sauces, this appetizer can’t get any more perfect! 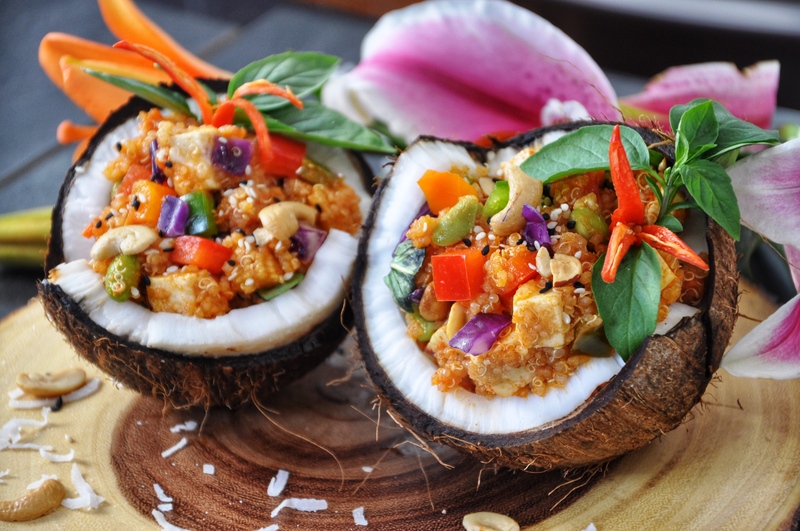 Enjoy the best of both, healthy and yummy, with this GORGEOUS Thai red curry quinoa that’s full of fresh veggies and a creamy, velvety sauce! 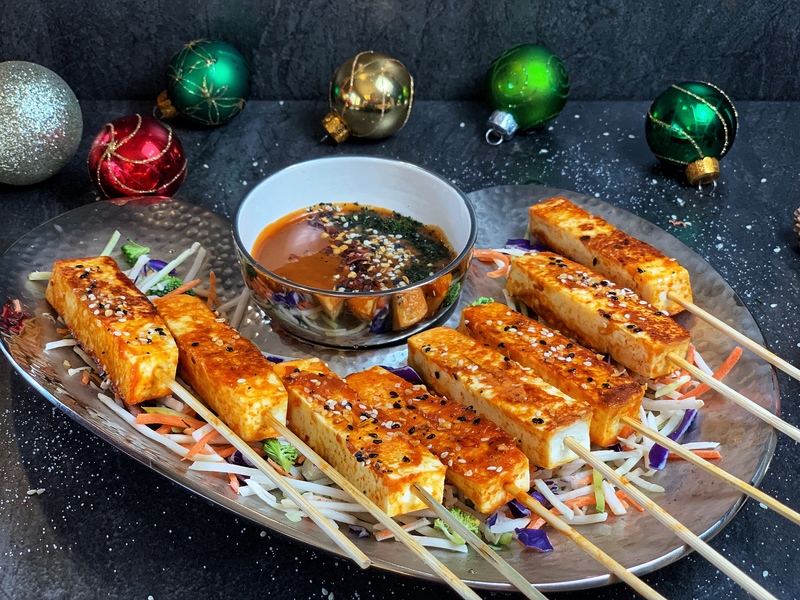 Perfect for parties, picnics, and gatherings in the summer, who wouldn’t like an Asian inspired, SUPERFOOD treat?